How much is Luka Doncic Worth? 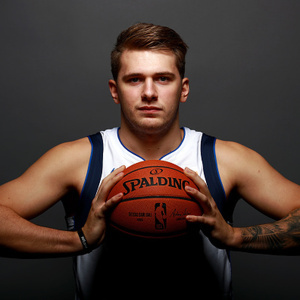 Luka Doncic net worth: Luka Doncic is a Slovenian professional basketball player who has a net worth of $5 million. Luka Doncic was born in Ljubljana, Slovenia in February 1999. He is a 6'7″ guard and small forward. He played for Union Olimpija as a youth and is the son of former basketball player Sasa Doncic. Luka Doncic played for Real Madrid from 2015 to 2018. During that time he won the EuroLeague championship and was named EuroLeague MVP and EuroLeague Final Four MVP in 2018. He was also selected to the All-EuroLeague First Team and the Liga ACB MVP in 2018. Luka Doncic has represented Slovenia and won a Gold medal at the 2017 EuroBasket in Turkey. He won the FIBA Intercontinental Cup championship in 2015. 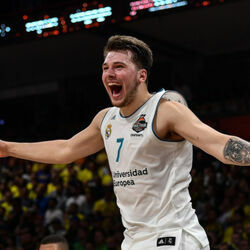 Doncic was drafted #3 overall by the Atlanta Hawks in the 2018 NBA Draft. He was traded to the Dallas Mavericks where he began playing in 2018 and was selected as an All-Star. How Much Money Does An NBA Draft Pick Make?